Blogger's Note: Today, we welcome Courtney Giardina to the blog to talk about her writing career and her book, Tear Stained Beaches. Change the Word: Favorite part about being a writer? Courtney Giardina: The amazing people I’ve met along the way. I am part of a few author groups on Facebook and the support, guidance and advice I receive from those in it has been invaluable. I’ve also come across other writers and editors on Twitter who I keep in contact with regularly. They are always willing to lend a hand wherever I need. This is such a supportive industry, I’m proud to be a part of it. CTW: Do you have another novel currently in the works? CG: I do! I’m currently about 20,000 words in. I’m not sure how far into it that means I am since my characters keep challenging me to go in all sorts of directions with the storyline. I guess we shall see how it turns out! CTW: If you could have anyone play Haylie Julian in a made for TV movie, who would it be any why? CG: I think Haylie is a mix of a lot of different emotions throughout the story. I would need someone who knows how to be emotional, angry, sentimental and strong. That is why I think Sophia Bush, who played Brooke Davis on One Tree Hill would be perfect! CTW: Favorite scene in Tear Stained Beaches? CG: Hmmm, there are quite a few I love because they are powerful. I’d have to say though the scene in Tear Stained Beaches that I really love is the coffee shop scene. I can’t help but laugh at every time I read it. I don’t want to give too much detail and spoil the fun for those who haven’t read it yet, but it’s hilarious. A very light hearted moment in the book where you get to see the real personalities of Haylie and Chase. CTW: How do you defeat writers block? CG: Honestly, I walk away. Sometimes for a week or two. It isn’t going to do me any good to sit in front of my computer typing nothing. I just get frustrated. So I close it up and leave it for a bit. The time in between I think a little about where the story is and where I want it to go and usually something comes to mind on how to continue. Then I sit back down and begin to write again. CTW: Tell us something we’d be surprised to know about you. CG: When I was 7 years old, I wanted to grow up to be a pirate. Not sure what it is about pirates, but I love them. Thank goodness for Pirates of the Caribbean and all its sequels. CTW: If you could meet with anyone dead or alive, who would it be and why? CG: My friends will laugh at this question, mostly because they already know the answer. I would have to say Michael Phelps. I just adore him. He has always been someone I’ve looked up to and I think that what he has accomplished in life, especially in time his back was against the wall, motivates me to keep pushing through the hard times and go after my dreams. CTW: Do you like to listen to music when you write? Do you feel it makes you more productive? CG: I don’t like total silence. It’s kind of eerie and I feel almost distracting. However, when the music is on it’s usually at a very quiet whisper. Just enough to add a little noise, but not enough to distract from what I intend to be doing. CTW: If you could travel anywhere in the world, where would you go and why? CG: I’ve always wanted to go to the Atlantis in the Bahamas. I love the look of it, the outdoor waterslides and the aquariums. Someday I will get there! CTW: Anything you’d like to say to your readers out there? CG: Just a big thank you. You will never know how truly appreciative I am for your continued support. 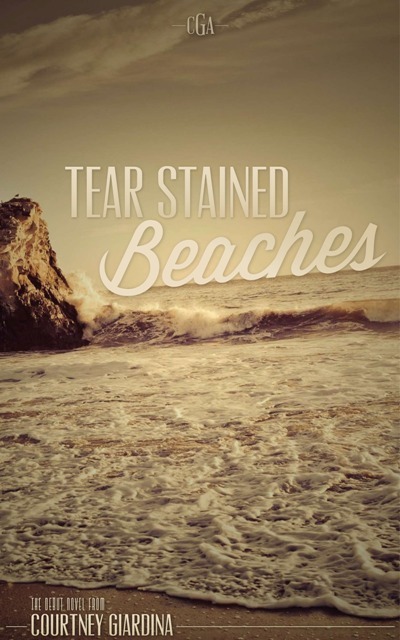 For reading Tear Stained Beaches, sharing it with your friends and also letting me know your thoughts on it. Your kind words have meant everything to me and continue to inspire me to keep writing. About Tear Stained BeachesHaylie Julian wants nothing more than to put her crumbling marriage back together. Chase used to be a fun-loving, light hearted husband who had lately become an overworked attorney obsessed with climbing the corporate ladder. It isn’t long before Haylie starts waking up next to a man she barely knows. His secretive phone calls and late nights at the office leave her feeling alone and afraid of what he might be hiding. Ignoring his continuous pleas to just leave well enough alone, she continues to dig for answers and discovers a heartbreaking truth. Struggling with what she has just learned, Haylie sets off to a quaint little North Carolina beach town to decide if her marriage can survive. It isn’t long after she arrives that her world is once again turned upside down as Chase’s secret stares her right in the face. Tear Stained Beaches explores what happens when a marriage isn’t the happily-ever-after you thought it was. Can trust be rebuilt? Can a wife forgive the ultimate betrayal? About the AuthorCourtney Giardina has always had a creative streak and a wild imagination. She has been fascinated by writing and the entertainment industry since she was a kid. Courtney grew up dancing, cheerleading and playing piano before she turned to writing as her creative outlet. She won an award for her writing in elementary school and wrote countless poems, songs and short stories. Courtney was born and raised just outside of Rochester, N.Y. In 2012, she moved to Charlotte, N.C., and has been focusing on finally doing all the things she said she would do “someday.” After making a New Year’s Resolution in 2012 to write her first novel, Courtney completed Tear Stained Beaches after nine months of long nights and wearing out the delete button on her keyboard. 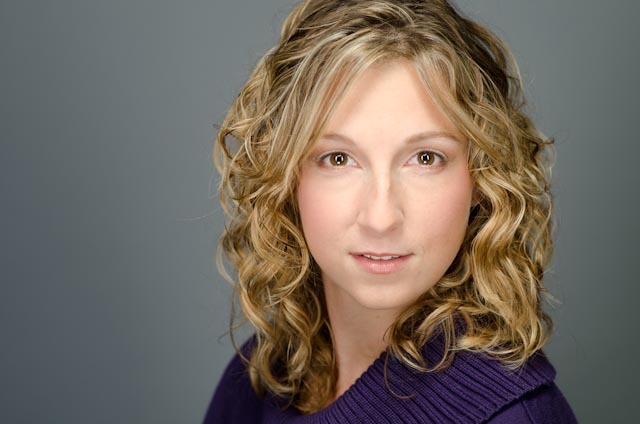 For more information on Courtney Giardina and to find out where to buy Tear Stained Beaches head over to www.courtneygiardina.com. What a great interview ladies! Tear Stained Beaches is on my TBR list as I love the premise! All the best with the book and promoting it!